The view of Compo Beach from above. 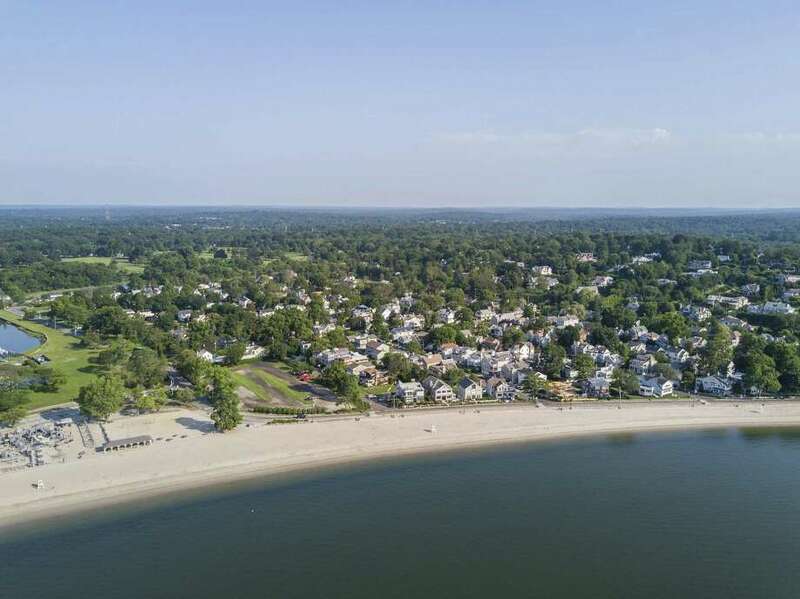 WESTPORT — Residents are angry about summer conditions at Compo Beach and the Parks and Recreation Department is beginning to address their concerns. “Bring the beach back to what it used to be,” said RTM District 2 Rep. Catherine Calise during Wednesday night’s Parks and Recreation meeting, echoing the cry of many of the 30 residents in attendance. “What it used to be was the beach was for the residents. Parks and Recreation Director Jennifer Fava presented five recommendations, later approved by the commission, for changes at the beach. Fava’s recommendations include designated parking areas for town emblem holders, single-entry for daily passes, more trash cans and increased sanitation staff for the beach and restroom grounds. “We want to make sure the recommendations we make are feasible and realistic,” Fava said, “and for this reason we’ll be presenting recommendations at various times when we’re confident they can be implemented. Topics under investigation at the parks department include where and how daily pass purchases will occur, daily lot parking capacity and limitation on the size of events. Also under consideration are fee increases for emblem and daily parking passes, decreases to the number of nonresident emblems sold, a reconfigured traffic flow, changes in beach rules and enforcement, and signage improvements. Some recommendations may require increased funding for the parks department, Fava said. Demaris questioned whether staffing at the beach was adequate to address crowds, alcohol-related activities on the sand, and water safety. The Parks and Recreation Commission voted to approve Fava’s five proposed recommendations. More Compo recommendations will be revealed at the next commission meeting in November.